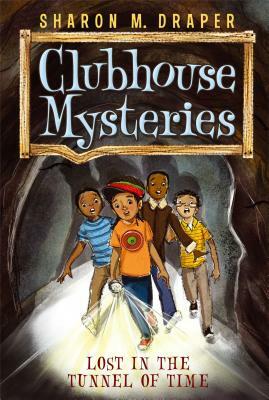 In this reissue of a classic chapter book series by award-winning author Sharon M. Draper, four boys who call themselves the Black Dinosaurs, find themselves involved in exciting mysteries around their town. In Lost in the Tunnel of Time, the boys discover their hometown was a stop on the Underground Railroad and are excited to explore the part of the tunnel that is right under their school. When a trapdoor slams behind them, locking them in the tunnel, there’s only one thing they can do—plunge deeper and deeper into the darkness. Where will the tunnel lead them? And will the old, crumbling walls hold until they find their way to the end?